Once referred to as the ‘Curny Banna Stakes,’ a name derived from the prizes won. 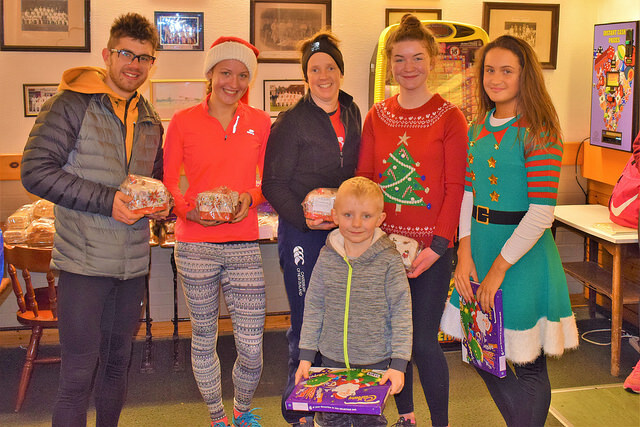 Every competitor receives a festive season prize of Christmas cakes, currant buns, yule logs or shortbread etc. The first mention of a Xmas relay in Wilton Lodge Park was in the minutes of a Harriers committee meeting held in October 1948. 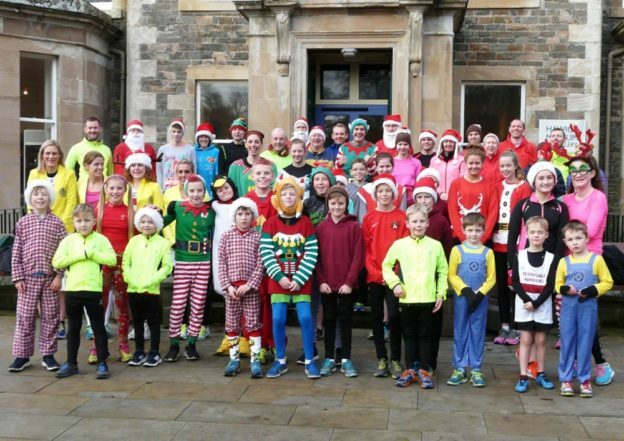 It was decided to hold a team relay race on Christmas Day and that all runners would receive a prize. 2017 winners left – right. Rory Anderson, Eilidh Jaffray, Lisa Welsh, Sinead McHugh, Abbie McGaughey and Oliver Wight (front). This fun event is suitable for everyone and all ages, with teams picked on the day. Fancy dress optional but definitely encouraged. 2016 winners left – right. Alan Inglis, Fraser CLyne, Conan Harper, Ava Hughes, Holly Grieve, Lewis Renwick, Sam Allott & Ann Aitken.